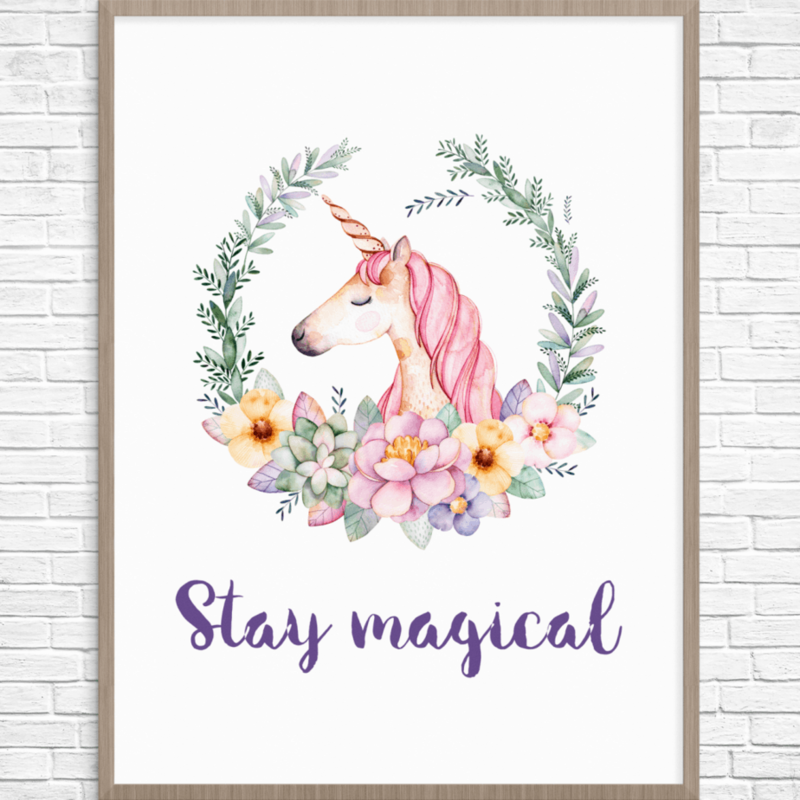 5 Beautiful Unicorn Parties and free printable to make your party magical! Unicorn parties are all the rave these days. 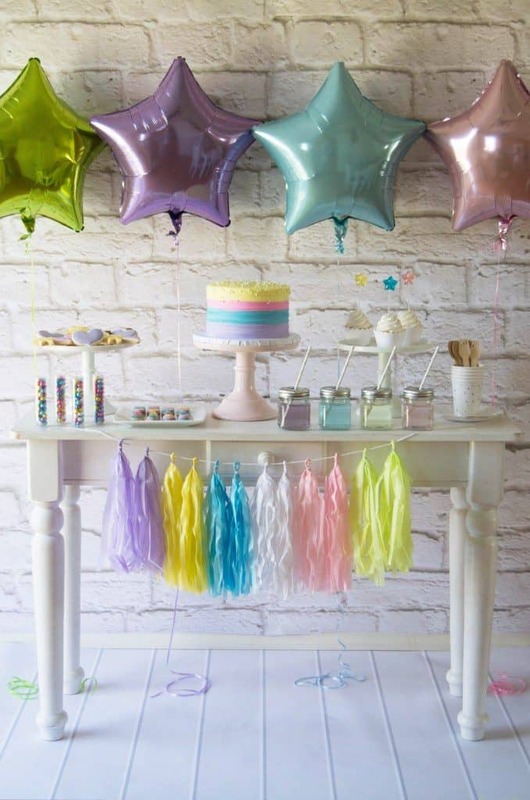 Below are some super beautiful unicorn parties to inspire your next unicorn party. 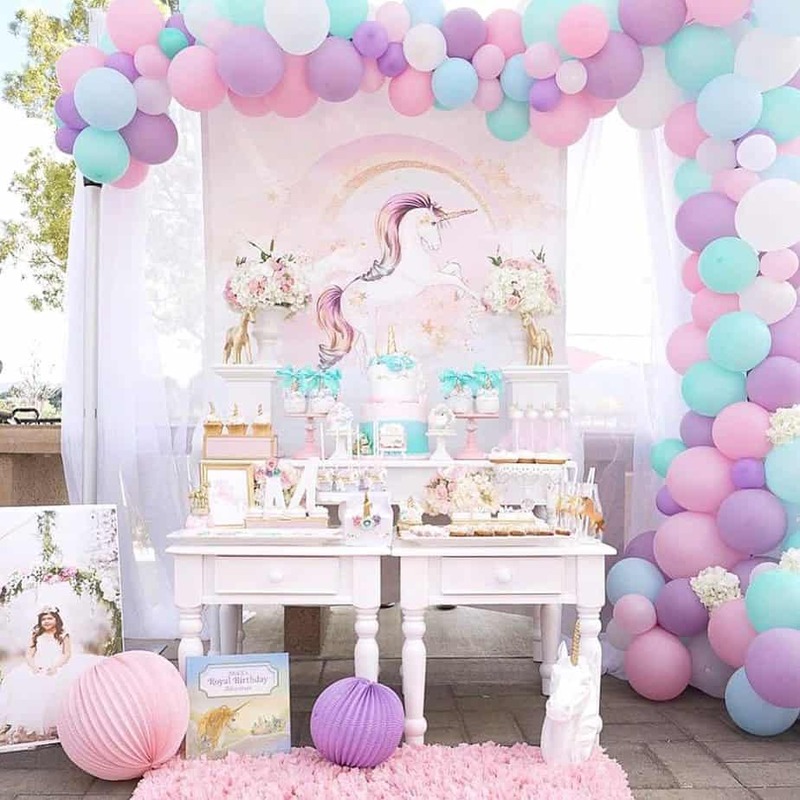 Pastel purple and gold unicorn party – Love everything from the balloon garland to the big unicorn backdrop! 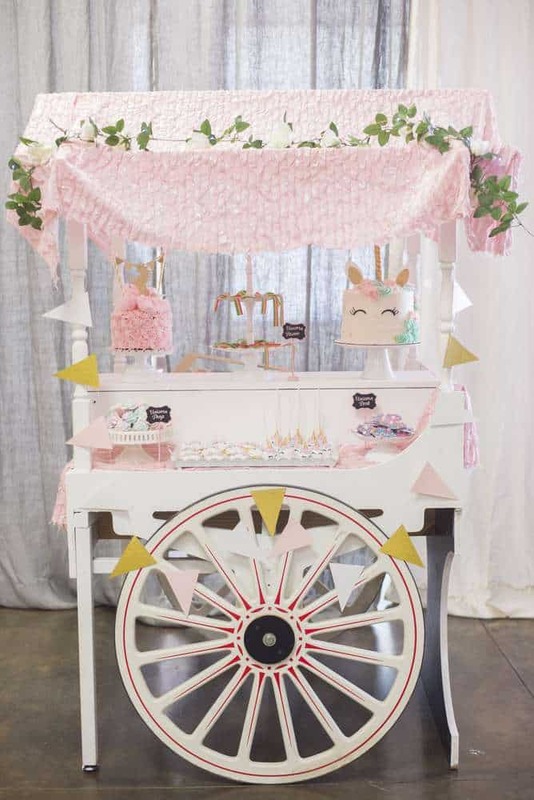 Vintage unicorn party – Love the ruffle cake! 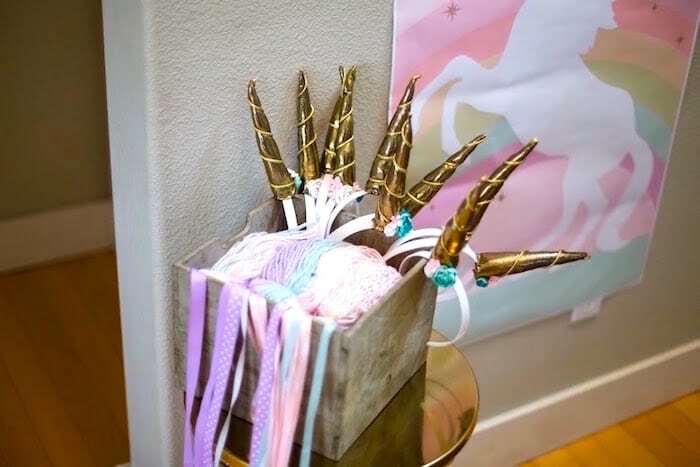 Rainbow and Unicorn Party – Can’t have a unicorn party without the unicorn horn headband. 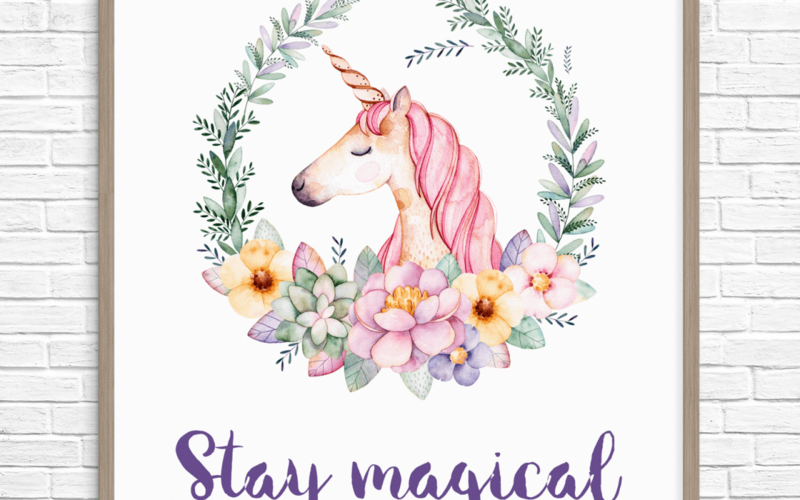 Unicorn Party – love this party. 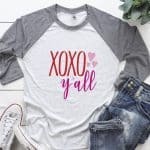 The pastel layer cake!!! 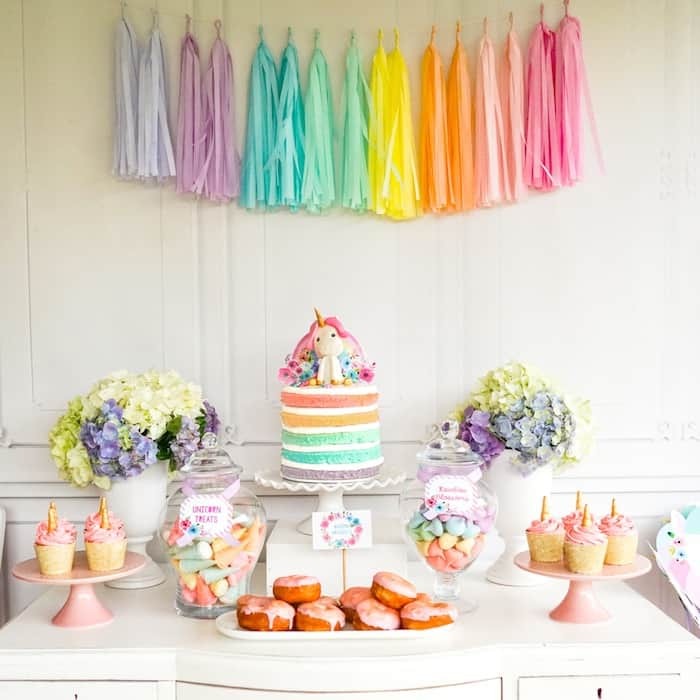 Great pop of color with the tassel garland as a backdrop. 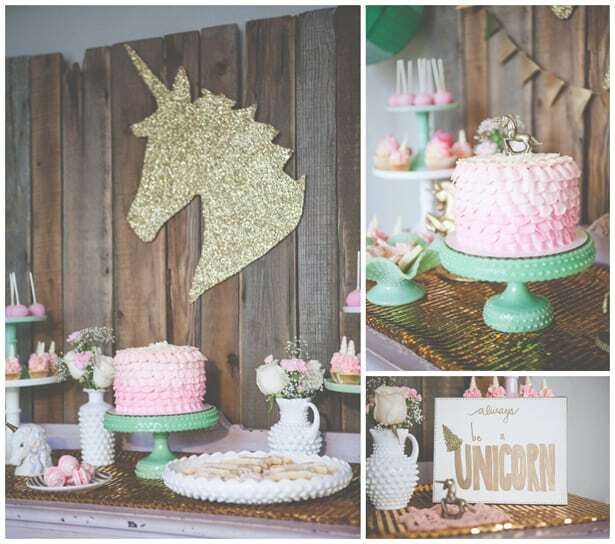 Magical unicorn party – Love how this party uses the unicorn sparingly, mainly in the cookies. 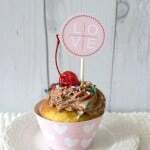 Boho unicorn bash – This party has lots of unicorn poops, tears and FUN! Update: The magical unicorn was a great success. 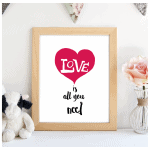 Thank you for downloading it. 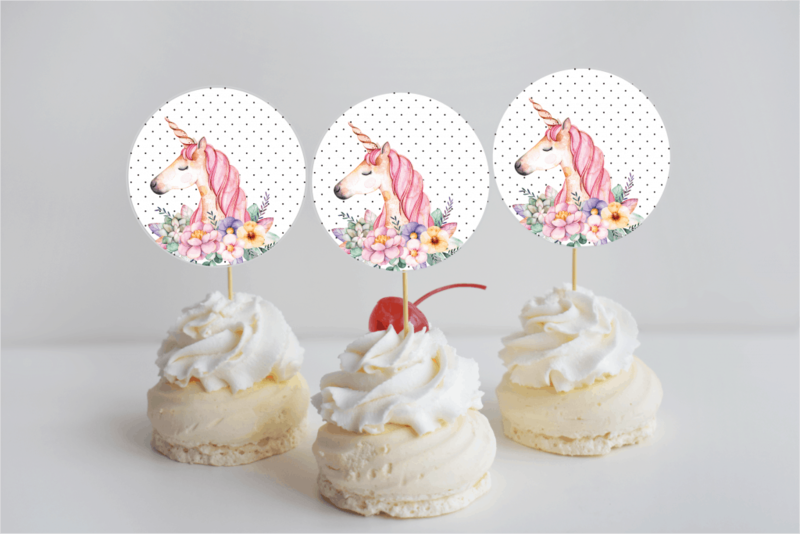 If you’re having a unicorn party, here are some free unicorn cupcake toppers and party favor tags! 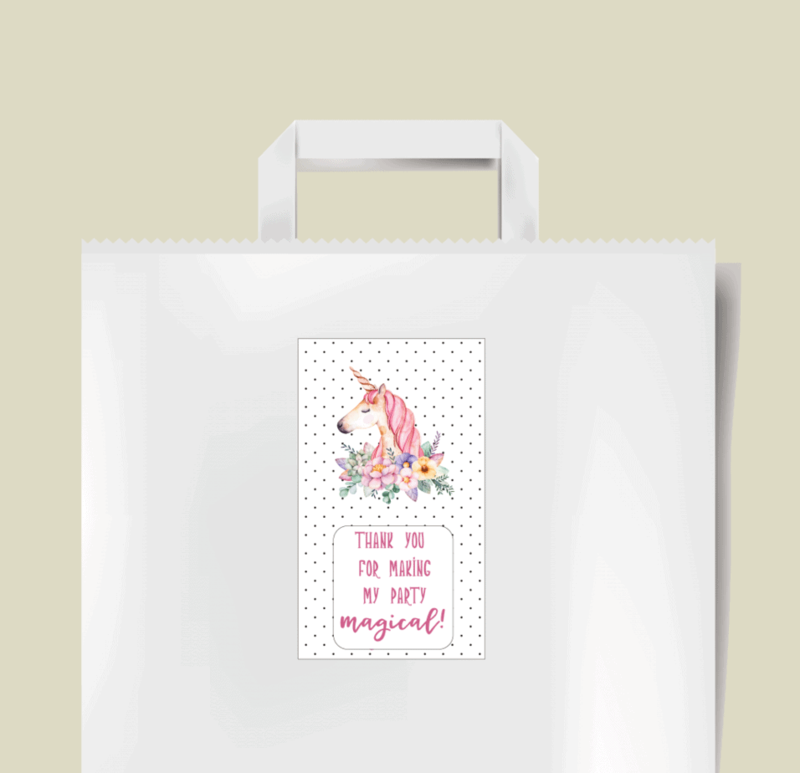 Yup, more free unicorn goodies. 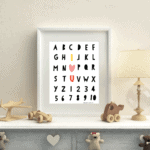 You can’t have enough unicorns!